Italian design firm ED showed off Torq, an autonomous car designed for the race track, here at the 2015 Geneva auto show. An autonomous race car sounds pretty silly at first glance. Italian Design studio and autonomous driving experts ED Design has revealed a wild take on a car that could compete at Le Mans before 2025. Dubbed the Torq, the all-new 330km/h lightweight race car concept is powered by four electric motors that are capable of completing 12 four-minute laps of the famous Le Mans race circuit on a single charge. Hoping to compete in the “Innovation Class” at Le Mans, ED design director and CEO, Michael Robinson, hopes his new autonomous race car will make people more passionate and excited about a future of self-driving cars. While some people might want to watch a pack of robot race cars hum around a track, ED recognizes most of the public still appreciates human race drivers. As such, the Torq actually does feature a cockpit under its featureless shell. The company envisions a driver would see the road outside through a camera and screen system. The car would include an autonomous assistant, but still let the driver show off her skills. And here’s where it gets a little hazy. ED admits that it doesn’t know how autonomous driving and a human driver would interact. 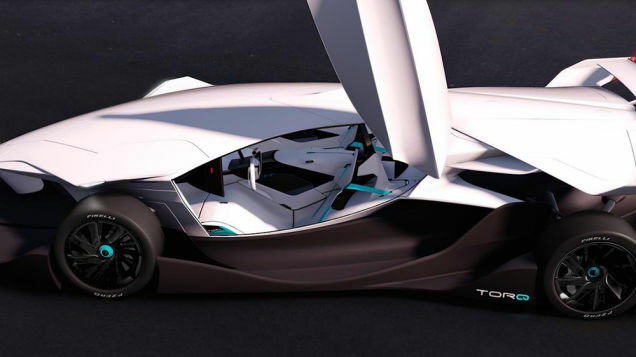 It offers the Torq as what it calls a Mobile Autonomous Automobile Laboratory so that automakers and other companies can conduct research, with production expected in the next two years.